We are excited to announce the launch of the brand new Big Breakfast Plus website! The website will officially launch on Sunday 23rd September at the Voluntary Action Swindon (VAS) Community Fair. The team will be attending the fair (which focuses on the theme of homelessness), to promote the new website and host a tombola raffle in aid of Big Breakfast Plus. 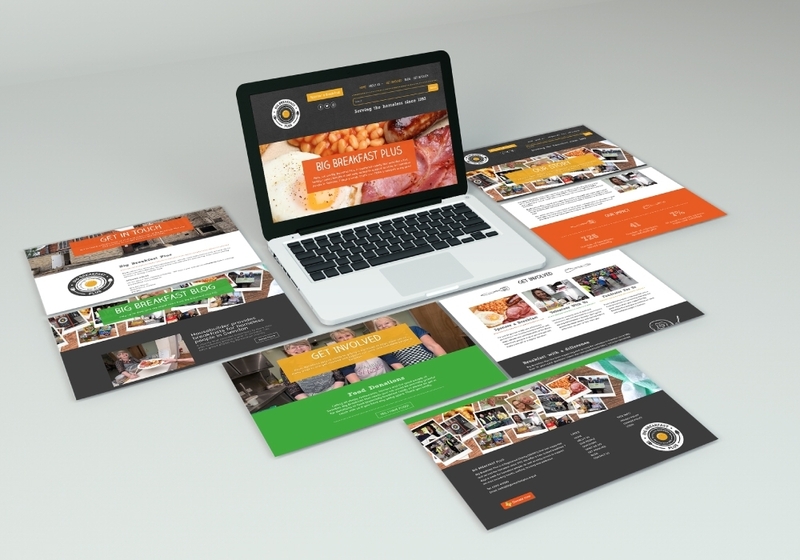 The website, which features the refreshed Big Breakfast Plus logo and branding, was developed by the creative design and marketing agency service Bold from Devizes based charity Community First. The new website, which is fully responsive across multiple browsers and devices, is specially designed to help us promote Big Breakfast Plus to members of the public, agencies, supporters and funders. As well as working on the design and development of the new website, Bold also designed our new logo and visual identity which will hopefully help us to tell the amazing story of Big Breakfast Plus.